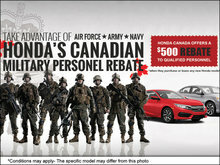 Honda Canada is pleased to announce the Canadian Military Personnel Rebate program. 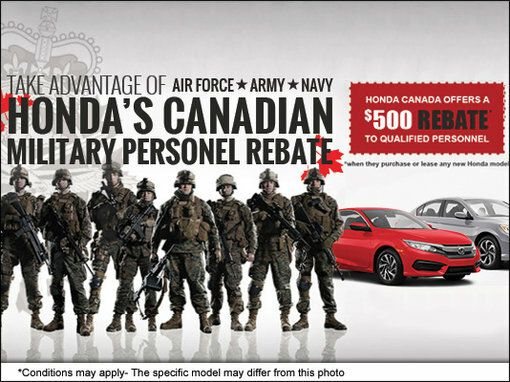 Starting today, Civic Motors Honda will offer a $500 rebate to qualified personnel when they purchase or lease any new Honda model and this credit will be reimbursed directly by Honda Canada Inc. to the customer. 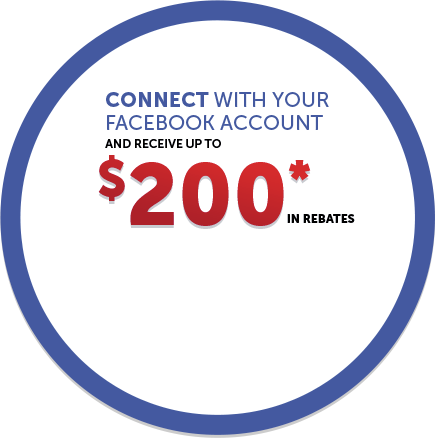 All current and previous Canadian Armed Forces members who have served or are serving Canada are eligible to receive this rebate. This is our way of recognizing and rewarding their commitment to our country.